J Inherit Metab Dis, pp. 1-7, 2018. Abstr. Europ. Human Genetics Conf., 2018, pp. P16.17A / A.
Abstr. Europ. Human Genetics Conf., 2018, pp. P16.40D. Bioinformatics 33(1), pp. 72-78, 2017. Medizinische Genetik 28, 2016, pp. 120. Europ. J. Human Genetics 24, E-Suppl. 1, 2016, pp. 352. Bioinformatics 31(22), pp. 3577-3583, 2015. Medizinische Genetik 27, 2015, pp. 97. Medizinische Genetik 27, 2015, pp. 136. Algorithmica 68, pp. 1019-1044, 2014. Medizinische Genetik 25, 2013, pp. 174. Poster Abstr. 63th Annu. Meeting Am. Society of Human Genetics , 2013, pp. 323. Europ. J. Human Genetics 21, Suppl. 2, 2013, pp. 369. Europ. J. Human Genetics 21, Suppl. 2, 2013, pp. 375. ACM Transact. Reconfig. Techn. Syst. 5 (2), 2012. Poster Abstr. 62th Annu. Meeting Am. Society of Human Genetics, 2012. Europ. J. Human Genetics 20, Suppl. 1, 2012, pp. 280. Integrative Biology 3(11), pp. 1071-1086, 2011. Europ. Conf. Wireless Sensor Networks, 2011. Abstracts 27th European Workshop Comput. Geom., 2011, pp. 189-192. Abstracts 27th European Workshop Comput. Geom., 2011, pp. 159-162. Lecture Notes Comput. Sci. 6845, Springer, 2011, pp. 206-217.
edited by Berthold Vöcking, Helmut Alt, Martin Dietzfelbinger, Rüdiger Reischuk, Christian Scheideler, Heribert Vollmer, Dorothea Wagner, Springer, 2011, pp. 69-75. J. Universal Comput. Sci. 16(5), pp. 676-685, 2010. Lecture Notes Comput. Sci. 6511, 2010, pp. 94-105. Proc. 17th Reconf. Architect. Workshop, 2010. Abstracts 26th European Workshop Comput. Geom., 2010, pp. 153-156. Lecture Notes Comput. Sci. 5664, Springer, 2009, pp. 423-434. Abstracts 25th European Workshop Comput. Geom., 2009, pp. 163-166. Lecture Notes Comput. Sci. 5699, 2009, pp. 14-25. Lecture Notes Comput. Sci. 5664, Springer, 2009, pp. 302-314. Abstracts 25th European Workshop Comput. Geom., 2009, pp. 269-272.
edited by Marco Platzner, Jürgen Teich, Norbert Wehn, Springer, 2009, pp. 199-221. Abstracts 24th European Workshop Comput. Geom., 2008, pp. 177-180.
edited by Berthold Vöcking, Helmut Alt, Martin Dietzfelbinger, Rüdiger Reischuk, Christian Scheideler, Heribert Vollmer, Dorothea Wagner, eXamen.press , Springer, 2008, pp. 75-81. Accepted for Internat. J. Comput. Geom. 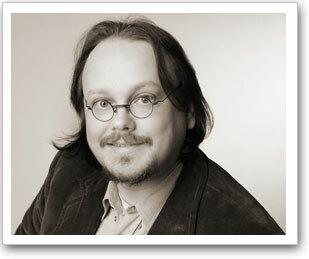 Appl., 2008. Proc. Internat. Conf. Field Program. Logic Appl., 2008, pp. 113-118. Abstracts 3rd European Conf. Mobile Robots, 2007. Abstracts 23rd European Workshop Comput. Geom., 2007, pp. 90-93. Abstracts 12th European Conf. Operational Research, 2007, pp. 140. Abstracts 12th European Conf. Operational Research, 2007, pp. 65. Randolph's Robot Game is NP-hard! Electronic Notes in Discrete Mathematics 25, pp. 49-53, 2006. Technical Report 005, Department of Computer Science I, University of Bonn, 2005. Abstracts 21st European Workshop Comput. Geom., 2005, pp. 107-110. Abstracts 21st European Workshop Comput. Geom., 2005, pp. 111-114. Lecture Notes Comput. Sci. 2909, Springer, 2003, pp. 165-178. Vorlesungsskript, Universität Bonn, Institut für Informatik, 2001.